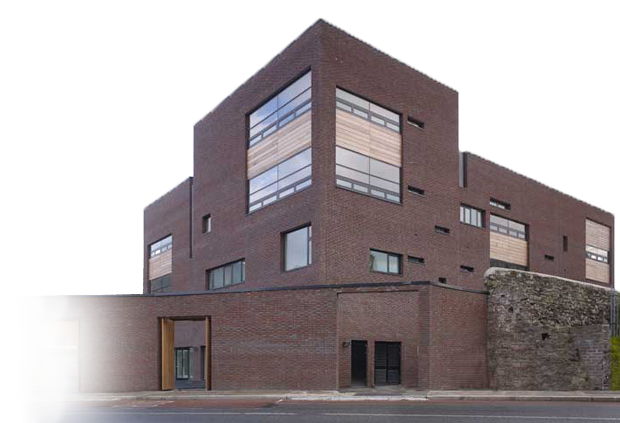 Fáilte mór/Welcome to St. Brigid’s Primary School, The Coombe, Dublin 8. St. Brigid’s is situated at the junction of The Coombe and St. Lukes’ Ave (extension of Cork Street) in the heart of The Liberties in Dublin 8. We are a mixed school up to and including 1st class and we have girls only from 2nd to 6th class. The school community is a vibrant, supportive family type group made up of the children of the school, their parents and families, a very committed staff and the wider community who contribute in different ways as friends of the school. Our common aim is at all times to maintain a positive happy environment in the school in order for every child to be happy to learn. We strive for academic excellence and at the same time strive to enable every child to develop to the full socially, emotionally and spiritually. We facilitate the development of the children’s special talents and abilities. We foster self and mutual respect, independence and responsibility. We value learning and understanding of other cultures. We foster pride in local and national identities as well as the environment in which we live. With thorough whole school and class planning, the staff of St. Brigid’s teach all aspects of the Primary school curriculum covering English, Gaeilge, Mathematics, SPHE, History, Geography, Science, Art, Drama, SESE, Music, PE and Religion. We emphasize the value of sport and the arts through participation in a wide range of initiatives including athletics, soccer, hurling, tag rugby, basketball, swimming classes, workshops with NCAD, drama workshops and regular visits to areas of environmental interest, galleries and museums. The school is housed in a modern state of the art new building completed in May 2008. It has 16 light filled large classrooms with toilets and storage rooms off each one, a spacious library, multipurpose room and large hall, resource rooms, Early Start preschool room, parents’ room, staff room, large reception and administration areas and extensive outdoor play spaces and developed gardens. We in St Brigid’s School, aim to provide a happy, vibrant Christian environment, where teachers and parents work together to develop the child’s full potential, in preparation for adult life. We continue to build our own self esteem and that of the pupils, by valuing everybody’s gifts and celebrating our diversity. As a staff team, we strive to give of our best, through keeping up with educational and professional development. In true partnership, we, the parents and teachers, recognize and respect each other’s rights and responsibilities as we build a caring, supportive school community together.